Biggers' Chinese detective Charlie Chan. Chan at College over at Rush Glick's website at http://charliechanfamily.tripod.com/id72.html. of the 1930s and 1940s. Not to mention finding "snackables" to munch on while reading at RECIPES OF THE WEEK (Cookbook Form)! situations are creations of the author. Lee Chan (Keye Luke) # 1 Son – Anthropological/forensic artist . . . a pilot . . . has the training to aid victims or witnesses through reproducing what they saw to bring or giving a face to skulls to aid in identification and still teaches newbies in the company. Jimmy Chan (Victor Sen Yung) # 2 Son – Chemist . . . big on being physically active . . . “leg man” trailing suspects and all until they got enough business and still teaches it to newbies in the company. Tommy Chan (Benson Fong & Layne Tom, Jr.) # 3 Son – “Contact Man” . . . the traffic cop, keeping track and contact with who was out where doing what for the company. Iris Chan (Marianne Quon) # 2 Daughter– Undercover, tailing and disguise expert trains newbies for the company. Frances Chan (Frances Wong) # 3 Daughter – Manages the paper trail – in and out of the office – and the hiring and training of newbies. Edwin Chan (Edwin Luke) # 4 Son – Head of the research department. 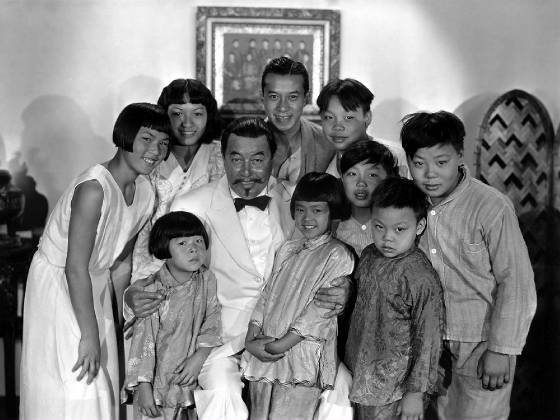 Charlie Chan, Jr. (Layne Tom, Jr.) # 5 Son – Chairman of the Board. Gloria Chan, # 4 Daughter (Iris Wong) – Manages traffic into the office. Willie Chan – (Layne Tom, Jr.) # 6 Son - Head Investigator. Ling Chan, # 1 Daughter (Lotus Long)– Den Mother. Wing Foo, # 1 Son-in-Law (Philip Ahn) – Married to Ling Chan. Leng - # 1 Granchson and son of # 1 Daughter (Pronounced “Lung”) – Office trouble-shooter . . . because, as Grandpa Charlie says, he keeps shooting himself into trouble. Randolph “Ranny” Hall – A Texas Tycoon whose beginnings are a bit . . . foggy. He made a killing on Wall Street by listening to others while he shined their shoes and then using the information. Who ever paid attention to a shoeshine boy? Mary Ellen Hall– “Melly”-- His much younger wife. Sally Hall – Their only child. Mrs. Mertle – “Crepesy” – Sally’s Governess/Chaperone. Ginger Lyon – His sister. Landry Lyon – Ginger’s only son, a sponge when he can get away with it. Robin Lyon – Ginger’s daughter who sponges, too, while she can. Jitsy Wong – The cook. Jade Wong – Jitsy’s daughter, Charlie’s godchild and schoolmate of Sally Hall. Jackson Harris – Randolph Hall’s ranch foreman. Valintine Davis – An old friend of Lyon’s, made his money in oil and gas. Francis Davis – Jack’s wife. Norman Bigelow – An old-fashioned Cattleman. Cynthia Bigelow – Norman Bigelow’s wife. Kincaid Portman – Made his money in cattle AND oil and gas. Fred Washington – Inherited money from his father’s investments. Lew Carswell – Retired gas and oil engineer, made good investments. Diedre Carswell – Lew Carswell’s wife. Sheriff Albert Evans – The local law enforcement. She stood on the street looking up at the sign over the door, fastening and unfastening the clasp of her purse. She took a deep breath and stepped to the front door. She pushed the door open and found herself in a reception area that was quietly decorated but punctuated with exuberant laughter from a girl behind the desk in front of her. A young woman who had been talking to two men behind the desk looked around and saw the visitor. One of the young men smiled at the newcomer. Gloria grinned up at Lee. Gloria nodded to the other man who had remained behind the desk. He saluted at Gloria and Jade and went ahead of them down a hall to a large room at the other end to hold the door for them. They went to the end of a long table near the windows as an old man came in another door with Lee, who closed it behind them. He smiled and bowed deeply at Jade. Charlie Chan sat at the head of the table at the far end from the door. He was framed by a picture window overlooking on the San Francisco Bay. He had seated Jade on his right, in the seat of honor, as Gloria brought a tea tray. She had put it on the table next to Jade and then sat down to serve it. Lee and Tommy sat across from them. Charlie leaned towards the girl who looked like she was still in high school. “But . . . ,” Jade smiled and looked around to Lee, Gloria and Tommy. She looked down at her purse and took a deep breath. Gloria put a small plate of cookies in front of Jade as her brother got up to shut the door. “Sounds like something my mother would say,” said Jade as she took a cookie and looked at it before turning to Charlie. Charlie looked around the table. She sat closer to Charlie. Jade waved her cookie as she looked around the table. Jade leaned toward Charlie with tears in her eyes. He put his left hand over hers as he nodded to Gloria who stood up and put a hand on Jade’s shoulder. Jade looked at her and smiled. Lee got her attention as he handed her a handkerchief. “Chinese are a psychic race,” Charlie said as they heard a knock on the door. It opened and a girl leaned in. Frances strode over to Jade with her left hand out while holding a stenographer’s pad and pencil in the other. "Any time you get this many Chans together in one room this long then either one of us has goofed up or," she glanced at her father, "or somebody needs Pop's help." Frances sat at a desk behind Charlie on his right and arranged herself to take dictation. "Okay, Pop, we're a go." Everybody shifted their gaze to Jade who sat staring, open-mouthed, at the new arrival. Charlie patted the young hand on his arm to get her attention. "Now to open case file--" He raised his hand as Jade's eyes grew bigger. "All case files keep under lock and key in office. Only members of Chan family have access." He leaned forward and said, "Please proceed." Jade absently took a bite of cookie as she sat back in her chair. She looked at the wall above Lee's head . . . .
"I think I've always known things . . . things I never heard . . . things I couldn't . . . shouldn't have known. . . .
"Things I couldn't explain even to myself . . . .
She looked at Charlie as she passed her hand over her eyes. Lee, Tommy, Iris and Willie Chan accompanied Jade Wong on a plane from San Francisco to Texas. Lee asked Jade to fill in Willie on their mission. She leaned close to him and spoke low . . . .
Jade stared out the window. “Mother had been thrown almost immediately, of course, but she was lucky. She was just sore all over for several days. It didn’t help that it took us a couple of hours to find her.” She sipped her soda. Jade leaned back in her seat. Willie looked at her sharply. The plane landed at Fort Worth’s municipal airport on the north side of town. It had been a smooth ride from San Francisco but the passengers were glad to get their “land legs” stretched. One group coming off the airplane was rather startling for the locals. These newcomers were Chinese. Attractive Chinese but still relatively rare in north central Texas in 1949. Except for one young lady in the group that the workers at Meacham Airport did know: Jade Wong. Jade looked around and saw an older man with a seamed face wearing faded denim shirt and jeans, scuffed cowboy boots. She broke out a big smile as he neared her, taking off his hat. “Yes’m.” He glanced down to his hat in his hands and looked at the others and nodded to them. Lee stepped forward to shake hands with the foreman. He turned to Jade, hesitantly. Jackson looked up at the sky and glanced at Jade. She led them to a touring car and opened the back door and motioned Iris to get in first. Jade followed her into the car. Lee sat nest to Jade as Jimmy looked in. He saw two seats facing each other between the back seat and the front seat. A large covered basket sat in the between them. “Number two son might wait to get in before attacking the kind offerings of hostess,” Lee commented. Jimmy glanced at Lee and then Jade. He sat back with his hands folded in his lap. “Thank you, Jimmy.” Jade turned to Lee. “Something’s happened and it’s just not the weather, although our spring rains can get pretty bad. “How can rains this far into Texas be as bad as the hurricanes that hit Hawaii,” Jimmy asked, crossing his arms across his chest. She looked off in the air for a moment. “How far is it to the ranch,” Iris asked. Jade’s eyes stared off again. Jade described El Rancho del Trinity as a fair-sized cattle ranch that spread out over several counties, with a sprinkling of oil derricks here and there. 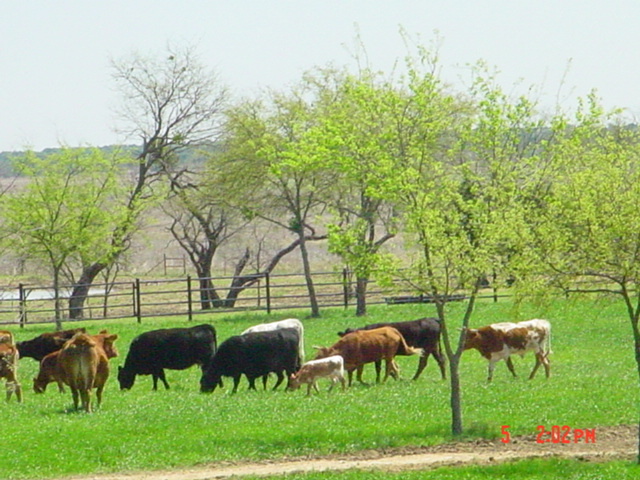 The ranch wound over hills and flat prairie land with a few man-made ponds that had their sources in the Trinity River. There were the small towns here and there with a few houses, a grocery store, post office and chapel. This is where some of the cowboys lived with their families to better cover the acreage of the ranch. The big house was part of a complex of buildings around a central courtyard smack dab in the middle of El Rancho del Trinity. She looked down to pat Iris’ hand on her own. “But . . .” Lee smiled at her. She stopped as they heard a noise that turned out to be Willie, Jackson and a young man pushing a luggage cart. They put the baggage in the trunk and Willie tipped the young man. He climbed into the back to sit in front of Lee as Jackson got into the driver’s seat and started the motor. Jade waited until they were on their way and leaned forward. He looked at her in the rear-view mirror. Jackson Harris concentrated on maneuvering the car through traffic until they were clear of town. Jane glanced at the others. He looked up to the rear-view mirror and his eyes caught Jade’s eyes. Willie leaned over the picnic basket for a fried chicken leg and whispered at Lee. Jackson glanced back in the mirror. “Please go on,” Lee said. Iris and Jade looked at each other in distress as Willie looked around for someplace to put his how unwanted chicken leg. “How could that happen? Aren’t those weights made secure for the protection of the users? Iris held a cup as Lee poured wine into it. She put it into Jade’s hand. “That’s what we’re here to find out,” said Lee. He looked at Jackson who was turning around to face Lee, a horrified look on Jackson's face. Jackson glanced up as the car started veering to the right. Grim-faced he stared at Jade in the rear-view mirror. “Mr. Chan started his own detective agency in San Francisco with his family.” Jade held Iris’ hand. “Mr. Ranny sent me to see him about what was going on and maybe he could come out to see if he could help. Jackson looked up at the mirror again. Lee looked back at Jackson. El Rancho del Trinity was large enough to cover several counties west of Fort Worth. The geography of the area varied from hills to prairie but the ranch itself was on what amounted to a short mesa surrounded on two of its three sides by forks of the Trinity River. The third side was usually on higher ground than the river beds but tended to flooding during periodic heavy rains. Mary Ellen Hall headed her horse over a wooden bridge that covered what was usually an almost dry branch of the Trinity River. Normally it was so dry that Jackson Hall called it his “algae farm” but today it was rising with all the rain they’d been having in the last few days and looked to get worse. But being raised on horseback had made her much stronger than her small childlike appearance suggested and kept her calm and in control of Norse, a palomino that looked as bestraggled as Mary Ellen. But horse and rider were of one mind . . . especially now with getting over the river and up a path that snaked up the side of the mesa and then home. The rain pouring down obscured their view but horse and rider were of one mind and knew the trail from long habit so snaking up the side of the mesa was more endurance test than usual. Mary Ellen and her horse reached the top of the plateau and headed in the direction of home, a place that had been sanctuary since Jackson had brought her here twenty years before. He had built it for her at the time of their marriage and had hoped to fill it with family and friends. Randolph hadn’t planned to leave her with a house that felt more like a hotel to her now that he was gone and she was saddled with all the friends and family that he adored. 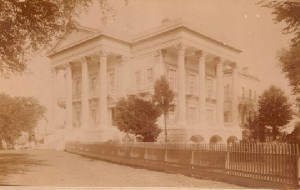 The Big House looked like something off of an antebellum plantation, which was no surprise as his parents had come from such an area south of Baton Rouge in Louisiana. Mary Ellen finally drew close enough to be able to see the house and its Corinthian columns that supported a balcony across the front. She headed to the right side of the house had a wing set slightly back from the front porch that had its own front balcony on the second floor. The side porch had its own set of columns to support a second balcony that had a second set of columns to cover the porte cochere for the driveway. This entrance had been designed for easy access from horse-drawn carriages directly to the steps to the porch and side door. Now a marble step at the bottom of the stairs made foot traffic easier. It also made getting from horse to porch to house easier, covered by the second floor balcony. A tall, heavyset man and a boy came through a door at the back of the porch to greet her. “Melly, you shouldn’t have gone out in this weather,” the older man said. “Si, Senora Melly.” The boy looked as small as the lady of the house but was just as spry as he vaulted onto the huge horse and cantered off. She turned back to the man and glanced behind him to the office wing off that side of the house. “And you think you’re the man to do it,” she returned as they went into a door to the left of the one Kincaid Portman had come out of. It lead into a square hall of the house proper and had the other door of the office to the right. They turned left to the circular staircase to the second floor where where Melly’s private rooms were located above the office. They were half-way up the stairs when they heard a rustle of skirts on the landing. A girl carrying linen in her arms glanced down at them and waited. She closely resembled the boy Chaco and seemed almost as young. Melly and Kincaid reached the landing and headed to the door on their right but stopped as the girl spoke. He nodded at Melly and went down the stairs to the front of the house. “Bella, I’m afraid I didn’t give him a chance.” Mary Ellen Hall started peeling off her wet clothes as she walked through a sitting room with a door to a bathroom on the right. They went into the next room where Bella closed the door, revealing a mirror on the other side. Melly began stripping off her riding clothes that Bella picked up. Melly looked sharply at her as the older woman went through a door to the left of the one they just left. Bella walked closer to the bathroom. The tap turned off and silence for a moment. Melly reached for a robe off a wall hook and threw it on. She tied it closed and came back into the bedroom, smiling. Melly stood there, still fair-looking in her thirties with light brown hair hiding the occasional grey hair and a still-slim body. Her slightly wide-set dark blue eyes looked at her maid with the coal-black hair, black eyes and dusky skin. Bella was barely over five feet tall, several inches shorter than Melly but kept eye contact. The older woman walked over to a closet to start dressing. She shrugged and walked to the first door. “Si,” Bella nodded and went out. The older woman finished dressing and walked to the king-sized bed. She held onto one of the corner posts before she sat down and burst into tears. Bella stopped at a closet door in the next room. She opened it to put Melly’s black riding clothes into a basket of other clothes and carried it out the spiral staircase to the front hall. Bella stopped halfway down to look out the stained glass window at rain that seemed to be coming down even harder. She sighed and continued. She heard voices down the hall but could barely make out the voices over the thunderstorm outside. Bella heard one voice become angrily loud in the game room next to the stair hall. Bella heard that kind of what she called “sniffing” from only one person and had to stand still long enough to keep from laughing out loud. A moment of silence gave Bella chance to knock at the door. She opened the door and found Randolph Hall’s sister, Ginger, and Valentine Davis staring at her, irritated at the interruption. They looked past the maid to the door as another intruder walked up behind the maid. Bella turned to look up at him and smiled at the man who always made her think of the actor John Wayne. Kincaid was a favorite of everyone who worked at El Rancho del Trinity. He looked at Davis briefly and back to Bella. She looked at Davis and rolled her eyes. 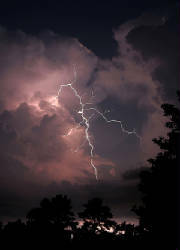 The room was suddenly lit with bright light that was followed immediately by thunder hitting so close to the house that they all ducked down where they stood. Portman strode past the others to draw aside curtains to see the rain coming down even harder than it had been. Ginger Lyon sniffed as the maid left the room. “Randolph didn’t think so,” Kincaid said. Kincaid turned to the other man in the room who was walking over to Ginger, offering her a cigarette from his case. He took out his lighter for her. Portman hid as smile as he glanced at Davis’ hair, seeing grey roots beginning to show. “It just doesn’t look good,” Ginger broke in. A tinkling laugh from the woman standing at the door caught their attention. “You and Valentine know all about what looks good, don’t you?! Cynthia Bigelow, a short and slightly overweight woman, strode over to put a hand on Kincaid’s arm as she stretched up to kiss him on his cheek. She went over to sit across from Ginger in front of the fireplace and sat her knitting bag down as Kincaid went to one of the library shelves to get a bourbon bottle for drinks. Ginger made a moue and shrugged her shoulders. “You would,” Valentine muttered as he took the drink from Kincaid and gulped it down. “Seems that our Saint Valentine needed his liquor more than you did, Ginger.” Kincaid went back to the bourbon bottle. The rain outside lessened for a moment as they heard the limousine pull up under the porte cochere, just outside the windows. “WHAT DETECTIVES?” Valentine chocked on his bourbon and branchwater. “Didn’t you know,” she said sweetly, leaning to him. They heard running feet in the second floor hall as they heard car doors open. 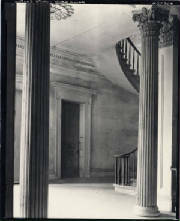 They turned in unison toward the hall to the stairs, beginning to hear voices in the stairwell at the back of the house. It seemed that everyone converged in the stair hall as another thunderclap hit too close by. Outcries couldn’t mask the noise from the rainstorm. The door to the porch quickly opened as Jackson hustled in Jade Wong and the Chans. He looked up to see Melly Hall coming down the stairs, followed by Sally Hall and her cousin Robin Lyon. Lee Chan grinned at Jackson. “Works for me,” Tommy added. Sally Hall step up to Iris Chan. Sally linked arms with the other girls and guided them to the library, passing the group that had just come from the library. Lee walked up to her to take her hand. Melly led them up the hall. She turned left into the library and turned to face her guests. Iris, Lee, Tommy and Willie looked around the room, taking in a room clearly built for sprawling in relaxation, with or without the many books on the surrounding selves. They sat themselves on sofas flanking the open fire, Willie making sure that Jade had room next to him. There was a coffee table between the sofas and Melly sat down at the end away from the fireplace. The others settled themselves around the room. Then an older version of Jade came in with a tray so heavy with food with Bella with more food on three tiered stands. Both Lee and Tommy moved to help. Jitsy Wong grinned at them as she gracefully slipped by them to put it on the end of the coffee table in front of Melly. Iris looked at her and smiled at the idea of anyone as slim and youthful in a traditional Chinese style dress needing exercise, as. Tommy and Willie grinned as they went to check out the liquor Kincaid held. Iris grinned at Jitsy and Bella as she took the cup and saucer with a napkin tucked underneath, trying to make a choice out of so many. Kincaid broke in, staring out into the hall. Lee turned in that direction. Tommy glanced out the door. “The shadows around here,” Kincaid said wryly, “don’t always with anybody OR anything attached." A flash of light hit the room as if the nid-day sun had just been turned on inside the room, followed by an almost deafening clap of thunder. Everyone remained crouched in their places before realizing that they were now left in the dark. Lee carefully raised his head and looked around. They gingerly got up, glancing around what damage might have been wrought on life, limb and/or property. Iris looked at Melly Hall to make sure she was alright as Jade began to help Jitsy and Bella to pick up dropped glasses, assorted china and sandwiches by the light of a candle Ginger Lyon lighted. A loud click caused cringing again until they realized that it was Kincaid flicking his cigarette lighter. Cynthia turned to him wildly. Sally looked at her while lighting candles on the mantel. Sally glanced at her mother, at Cynthia and then at the Chans. “Sally, I don’t want you going out there.” Melly’s voice was rising as Lee, Jimmy and Willie quickly took candles and followed Kincaid out the door. They sat glaring at each other as Iris leaned forward to put a hand on Sally’s arm. Bella and Jitsy carefully took the remnants of the tea out of the room as Jade continued to tidy up. 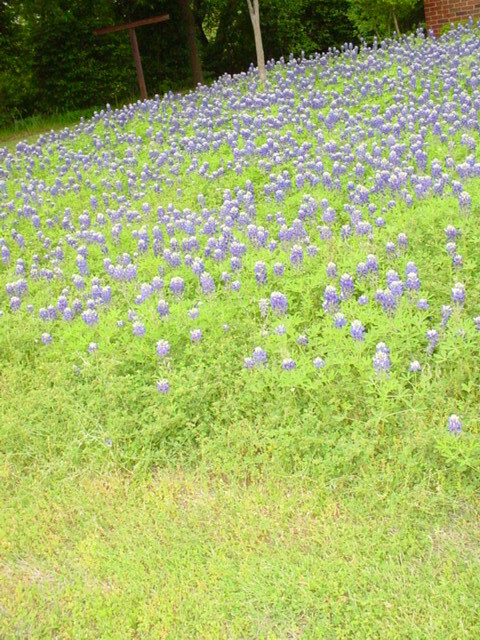 Iris glanced out the windows and grinned. Credit should go to www.bellegrove.net for the pictures that Maven used in Chapter Two. 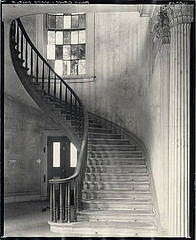 When Belle Grove was built in 1957 near White Castle, Louisiana, it was the largest plantation in the South. Thumbs up to the go-to-guy couple about ranches . . . "Robin Hood" and his "Maid Marion"! Maven would like to thank her aviation expert, “Captain Goodheart,” about air travel back in the day. Thanks to "Aphrodite" for her input on workout rooms. You're an angel!